Gerstner Sloan Kettering Graduate School has matriculated over 125 students since our first class enrolled in 2006. 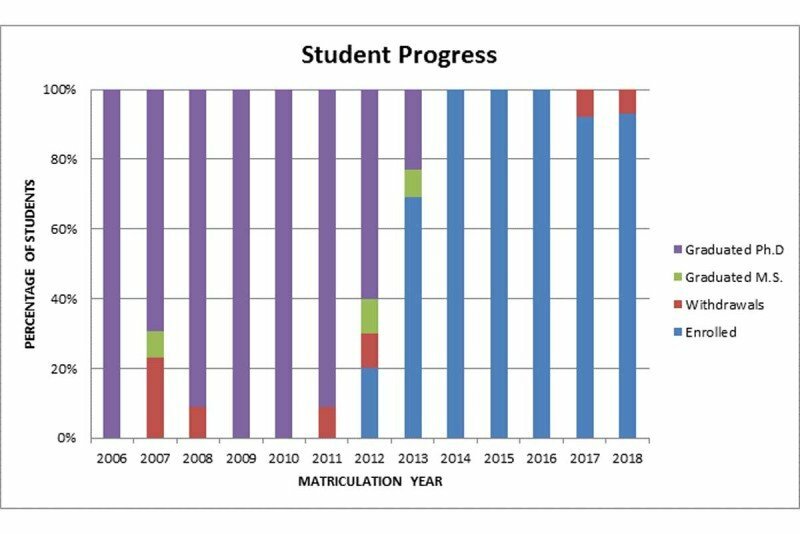 We have a retention rate of 94.5 percent, and the average time to degree is 5.9 years. Our students have been very successful, publishing more than 320 papers and competing successfully for 26 independent graduate research fellowships including those from the National Institutes of Health and the National Science Foundation. 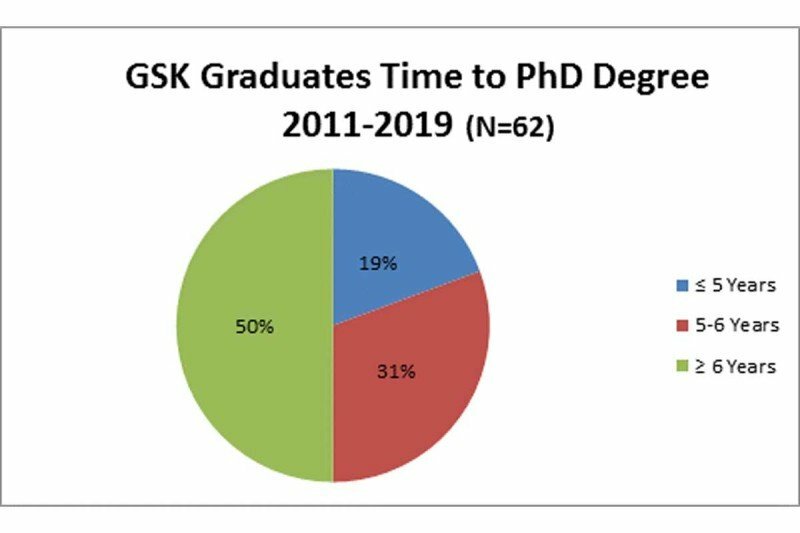 Directly after graduation, 68 percent of our alumni pursued postdoctoral research training in academic laboratories, while 32 percent pursued non-research science-related careers such as biotech analyst, science writer, biotech firm manager, and consultant. Because our first PhD recipients are only five years post-graduation, additional outcomes data is not yet available.